Andy Roddick beat Nicolas Massu 6-2, 4-6, 6-3, 6-4 to give the United States a 1-0 lead in the Davis Cup first round tie against Chile. John Isner and Paul Capdeville were playing the second match. Roddick broke and went up 3-1 in the first set. He won it when Massu double faulted while serving to try to stay in the set. Massu broke Roddick in the first game of the second set. In the eighth game the Chilean was up 40-0 but Roddick forged back and held two break points, but he was not able to convert and two games later Chile had levelled the first rubber. Roddick went up 4-2 in the third and after a hotly disputed call by Massu and the Chilean captain Hans Gildemeister in the ninth game, Roddick once again had the advantage. He broke in the fifth game of the 4th set and tThat was all the American needed to clinched the first point for his nation. Ivo Minar defeated Nicolas Massu 6-0, 6-2, 6-3 while Jan Hajek beat Paul Capdeville 6-0, 6-2, 6-1 to give the Czech Republic a comfortable 2-0 lead over Chile in their Davis Cup quarterfinal. Massu produced51 unforced errors while Minar made just 22. The Chilean also never had a break point. Chile is not playing with Fernando Gonzalez due to injury and the Czechs are not counting with Tomas Berdych and Radek Stepanek because of the same reason. Q. Just what is your reaction to your performance and the result today? NICOLAS MASSU: Today I think I don't expect too much when I play on grass. So for me, I try to do my best. If I feel good in the court I try to enjoy. But I know that maybe I'm not feeling the best that I can. This is one week a year, so for me doesn't matter. Try to do my best and if I lost, I lost. Q. And what did you think of your opponent as a qualifier? NICOLAS MASSU: I don't think ‑‑ I don't think about him so much. I tried to put my game, tried to fix my game the best that I can to grass. But I think this is a different sport. Different sport. I play here the last time three years ago, so I try to fight and try to do my best. But if there is someone that play better on this surface, it's difficult to beat him. I have my chances today, but I didn't make it. Fernando Gonzalez defeated Harel Levy 26 63 64 64 while Nicolas Massu beat Dudi Sela 46 62 62 64 to give Chile a 2-0 lead in the opening round of the Davis Cup. Massu made honor to his gladiator nickname as he fought hard during a match that was more difficult for him than shown by the score. In the opening set, Massu broke in the first game but Sela broke three times afterwards claim the set. Massu picked up his game and dispatched Sela in the second and third sets. In the fourth set Sela produced some long rallies, looking for errors from Massu. Sela took a 3-1 lead but Nico turned things around, got the break back and then broke once more to seal the win. It was Gonzalez turn to give Chile one more point and something to smile about after a horrible week full of earthquekes. Harel Levy started much better that the Chilean, took his chances and easily claimed the first set. The Chilean took slow control afterwards, and one break per set was all he needed to take the victory home. Levy was unable to build over his initial advantage, and Gonzalez proved how difficult it is to face Chile in their own back yard. “It has always been very exciting to play for my country” Massu said. “I did not want to fail the people”. Nicolas Massu is not very happy ahead of Chile´s Davis cup tie this weekend. Chile suffered a major earthquake this past weekend and Massu said that it would have been better to delay the upcoming tie against Israel due to all the maddness that it´s going on in his country. Since the earthquake Massu and the rest of the tennis players are unable to train. The International Tennis Federation and the Chilean Tennis Federation have agreed to try and start the tie on time on Friday in city of Coquimbo. Scoop Malinowski caught up with Massu recently for this Biofile interview. Born On: October 10, 1977 in Vina del Mar, Chile. Childhood Hero: "Rocky the movie [smiles]." 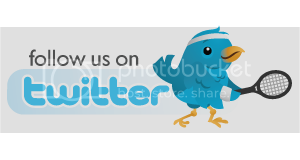 Tennis Inspirations: "When I start when I was younger — Boris Becker and Muster. Those were my two." Hobbies/Leisure Activities: "I like to play soccer. To be with my friends, go out with my friends." Favorite TV Show: "The Simpsons is my favorite." Musical Tastes: "Spanish music, Ricky Martin." Early Tennis Memory: "The first time that I passed the top 100 in 1999. After winning Challenger in Santiago in November '99. Was doing good in Challengers, I won three Challengers. 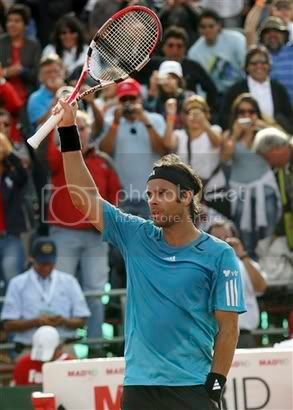 Then when I won my first ATP tournament in Buenos Aires (2002), I saved match points (in final against Calleri)." Pre-Match Feeling: "All are different. Sometimes you're nervous, sometimes not. Sometimes you are more confident, sometimes without confidence. Normally, a little bit nervous but not too much. Just depends on when I go out on the court to play." Favorite Ice Cream Flavor: "Vanilla." First Car: "'Chevrolet convertible, black. '96, I have it in '99." Greatest Sports Moment: "Now I think August 2004, champion of Olympics in singles and doubles. And also carried my countries flag at 2000 Olympics (when Marcelo Rios did not show up)."" Most Painful Moment: "I think when we lost some important Davis Cup — Zimbabwe, India, Slovakia, Russia, Israel, Croatia. (Massu's overall Davis Cup record is 29-17 including 17-4 on clay.)" Funny Tennis Memory: "Just not in singles, when I play doubles I have a lot of good memories." Closest Tennis Friends: "Marcelo Rios and Fernando Gonzalez, some Argentine and some Spanish players." Funniest Players Encountered: "Fernando Vicente. He's funny and a good person." Toughest Competitors: "Federer, Nadal, Hewitt, Agassi, Ferrero." Favorite Athletes To Watch: "I think Mike Tyson when he was young. Because I think he was a good competitor. And he was the best in the world. He had a lot of confidence. Michael Jordan. I read one time a book of him, I like it. My favorite soccer team is Everton from Vina del Mar. (Tennis?) I don't have any one now. You don't have idols when you play because you play against all these guys. I don't have idols." People Qualities Most Admired: "Good, friendly people. Good person. And respect, you know?" 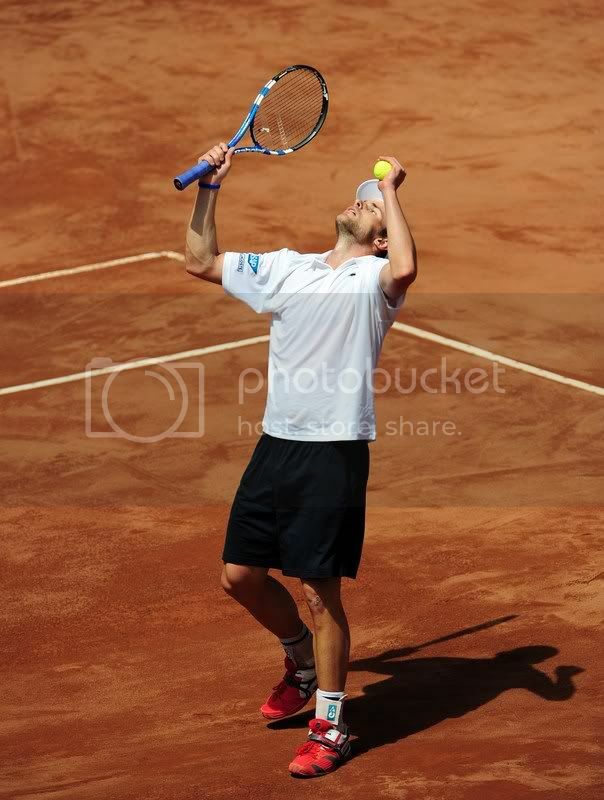 Nikolay Davydenko defeated Alberto Martin 6-2, 6-3 to reach the quarterfinals at the Croatian Open. In the quarterfinals, Davydenko will face Simone Bolelli, who beatFabio Fognini 6-3, 6-4. David Ferrer was upset by Nicolas Massu 4-6, 6-2, 6-4. The Chilean rallied from 4-2 down in the third set to beat the Spaniard after 2 hours and 16 minutes of play. The win was Massu’s first over a top 20 opponent since February 2008. Massu will next meet Andreas Seppi, who beat Frederico Gil 7-5, 7-6 (5). Juan Carlos Ferrero made it past Potito Starace with a 1-6, 6-3, 6-2 win and will next meet Maximo Gonzalez, who ousted Oscar Hernandez 6-4, 6-4. 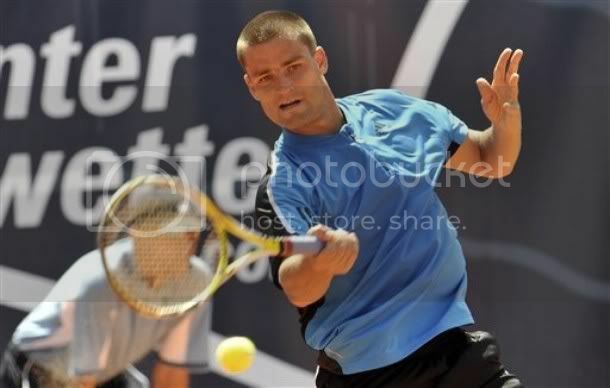 Victor Hanescu defeated Nicolas Lapentti 6-7 6-3 7-5 for a place in the second round at the Interwetten Austrian Open Kitzbühel. Hanescu managed to convert four of 14 break point opportunities for victory in two hours and 46 minutes. He won 68 of 90 service points, including five aces. 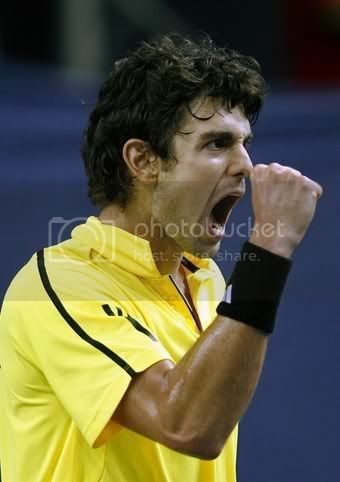 He improved to 8-14 on the 2009 ATP World Team season, highlighted by two quarter-final exits at Doha and Casablanca. Mikhail Youzhny made it past Daniel Gimeno-Traver 6-2 7-6 in one hour and 35 minutes. It was the pair’s second meeting in four weeks, after Youzhny won in ATP World Tour Masters 1000 Rome. Youzhny hit five aces, won 73% of service points and saved all five break points he faced. The World No. 46 converted two of seven break point opportunities to improve to 14-11 on the 2009 ATP World Tour season. Marcel Granollers beat Teimuraz Gabashvili 7-6 6-3 in two hours and 13 minutes. Granollers avoided a seventh first-round exit this year to improve to an 11-14 mark. 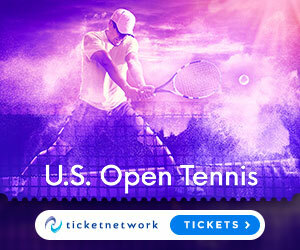 He will next look to win back-to-back matches on the ATP World Tour circuit for the first time since early January, when he advanced to the Chennai semi-finals. Nicolas Massu defeated Robin Vik 6-4, 6-2 in one hour and 48 minutes. It was Massu’s first win at an ATP World Tour tournament since he reached the ATP World Tour Masters 1000 Miami third round in March. Andreas Beck scored a 5-7 6-3 7-5 win over Jan Hernych. Beck improved to 7-4 on the season. Mario Ancic and Marin Cilic gave Croatia a 2-0 lead over Chile in the opening singles round of the Davis Cup. Ancic beat Nicolas Massu 6-3 6-3 7-6 while Cilic had no problem to make it past Paul Capdeville 6-1 6-2 6-1. Ancic broke Massu in the fourth game of the opening set and never looked back, firing six aces and winning all his second-serve points to take the lead. He produced more of the same in the second, breaking his opponent’s serve twice after being treated for toe blisters before coming back from 5-3 down in the third to take the tie-breaker 7-4 on his first match point. “I served really well throughout the match, especially in the opening two sets. I had some problems in the third set because Massu raised his game and played very consistently but I am very pleased with my performance and I managed to stay calm when he tried to intimidate the umpire.” said Ancic. During his match Mario served 16 aces and produced 46 winners. Massu frequently complained to the umpire about line calls on the hardcourt surface, and was joined by Chile’s captain Hans Gildermeister. “I knew they would keep complaining to the umpire, although it must be said that there were several bad calls on both ends,” Ancic said. Cilic pummelled Capdeville with a barrage of powerful forehands and took only one hour 33 minutes to win the one-sided contest. He converted seven of his 11 break points, fired 10 aces and produced several stinging backhand winners to delight the vociferous home crowd in the Zatika Arena. “I was focused and determined not to give him the slightest chance to get into the match. It was an effervescent performance and we are now looking forward to Saturday’s doubles.” Cilic said.